I drive to Des Plaines every day to drop off my daughter at Science and Arts Academy. The neighborhoods around the Des Plaines downtown are blanketed with Sears homes. Des Plaines did not have the vast number of teardowns in the last decade that some communities experienced, which is good news as far as Sears homes are concerned. You can drive down certain streets and see one Sears home after another. Besides the fact that fewer old homes were demolished, another reason for the large number of Sears homes in Des Plaines is the Blume brothers, local contractors who would quickly build Sears homes for their clients. 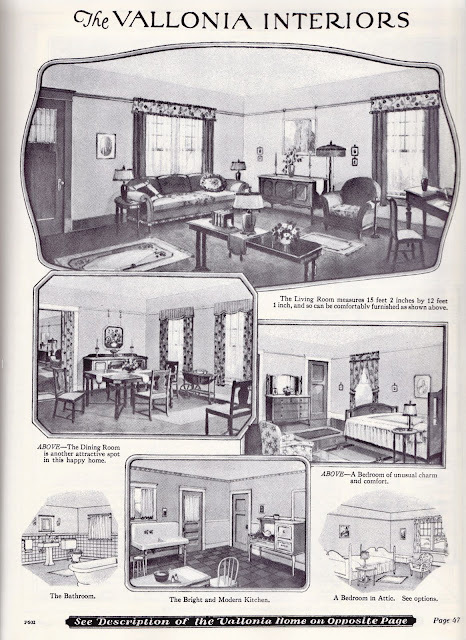 Throughout the 1920's, the Sears Modern Homes catalogs featured letters by Elmer M. Blume about how easy it was to assemble pre-cut homes. 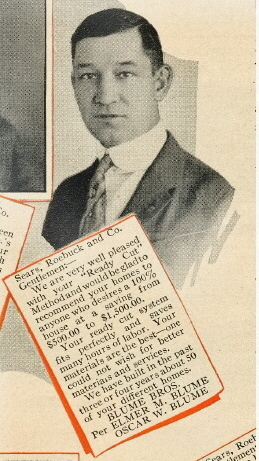 Elmer and his brother, Oscar, built dozens of Sears homes in Des Plaines, as well as some in Libertyville, Park Ridge, and other suburbs. 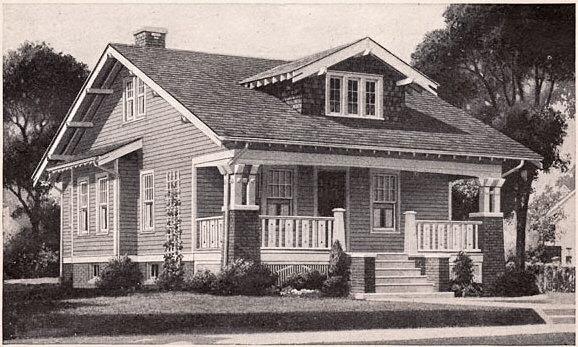 Testimonial from the 1925 Modern Homes catalog. So yesterday on my afternoon drive I saw a perfect Sears Vallonia and returned with my camera to get a shot. When I looped around the block I saw another Vallonia. 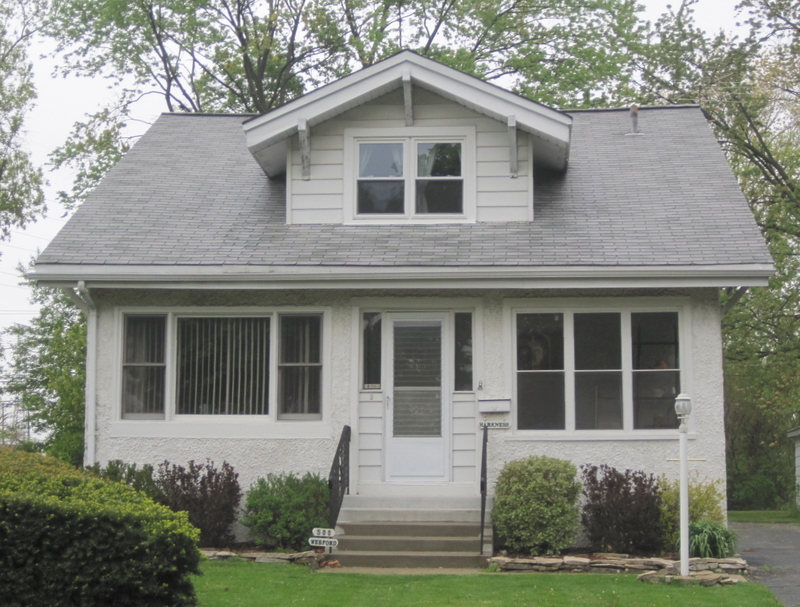 622 Arlington, Des Plaines. Original railings... check. Original porch intact... check. Original porch columns... check. The Vallonia was a popular model for Sears. It was sold from 1921 to 1939, and apparently it never went out of style. I have no idea whether the Blume brothers built these particular homes. 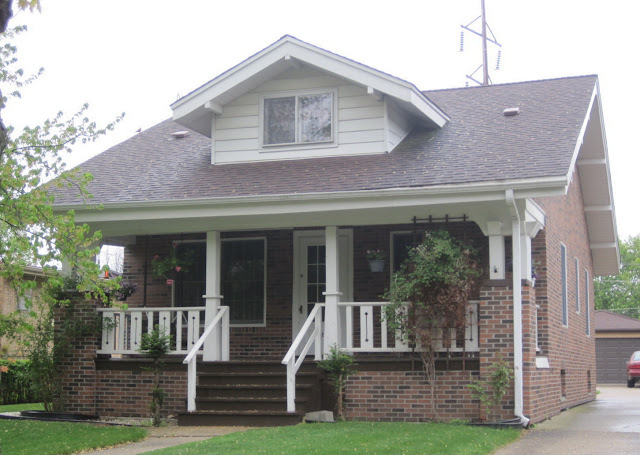 These homes were definitely built after 1922 because Sears changed the look of the dormer in that year. The 1928 Modern Homes catalog featured an interior tour of the Vallonia. Des Plaines needs to do a Sears home walking tour! The stucco could be original. The fake brick paneling is not. Sears did offer brick veneer as an option.